Born in Rangpur, India, William Beveridge (1879–1963) was a lawyer and economist. Educated at Charterhouse School and Balliol College, Oxford, Beveridge’s experiences at a London settlement house led him to become a leading expert on the causes of and solutions for unemployment. Beveridge was an influential civil servant and educator, notably as adviser to David Lloyd George on old-age pensions and national insurance (1908–1914), Director of Labour Exchanges (1909–1916), Permanent Secretary to the Ministry of Food (1919) and Director of the London School of Economics and Political Science (1919–1937). 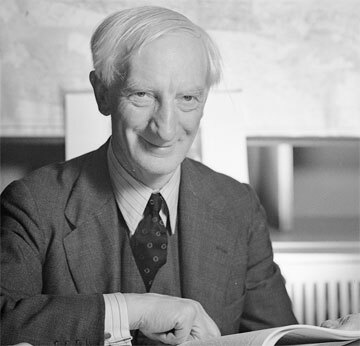 Beveridge is renowned as an architect of Britain’s welfare state through his 1942 report, Social Insurance and Allied Services (known as the Beveridge Report). The Beveridge Report recommended that all working people should pay a weekly national insurance contribution to provide benefits to people who were ill, unemployed, retired or widowed, creating a minimum standard of living for everyone. Beveridge wrote in his report: “Want is one only of five giants on the road of reconstruction; the others are Disease, Ignorance, Squalor, and Idleness.” Beveridge’s appearance in 1943 before the House of Commons Special Committee on Social Security advanced the case for national insurance in Canada through his praise of Leonard Marsh’s report, as well as through his expertise and persuasiveness. Sir William Beveridge in 1943, when he was in Ottawa to testify before the House of Commons Special Committee on Social Security, which was planning for the future of Canadians after the Second World War. Library and Archives Canada, PA-175614. © Estate of Yousuf Karsh.